Who Is Liable If Your Child Is Injured at Daycare? These are scary injuries that can have life-long impact. 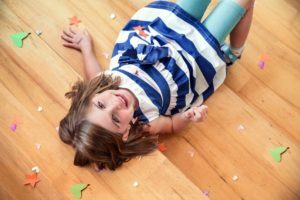 When a child is injured at daycare, here is what to expect and how you as a parent can keep your family protected. Any licensed daycare center you take your child to in the Valley has a legal obligation to keep your child safe from undue harm. Parents may sign a liability waiver that lifts the liability off a daycare center when a child experiences an accident not directly caused by the daycare provider’s negligence, such as if a child is injured during a field trip due to circumstances outside the daycare provider’s control. However, a daycare center may still be held liable for an injury in which their negligence was the contributing factor. They don’t remove hazards that pose a threat to a child. The provider neglects to safely monitor children. They place a child in harm’s way. The provider engages in careless or reckless actions that contributed to the child’s injury. The provider abuses a child. Proving this negligence is essential to secure compensation after your child is personally injured at a daycare center. In some cases, a daycare center may be properly following all legal requirements to protect children they’re caring for, and even so, another child may cause serious harm to yours. In a case like this, the parents of that child may be deemed the negligent party. 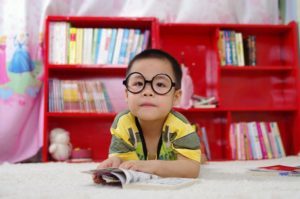 To pursue any case against a child care provider who may be negligent, you will need to have proof that the daycare provider had accepted responsibility for watching your child. Some families take the risk of having an informal babysitter look after their child at a home. If this is the type of daycare you use for your child, make sure to have an agreement in writing about the services they provide. You may also want to work with a Phoenix personal injury lawyer to draft up a formal agreement or look over any one you are considering signing before handing your child over for care. In any case where your child experiences a serious injury at daycare, you should take the following steps. To properly assess the situation and the severity of the injuries, it’s vital that your child get medical attention. The daycare worker may be the one to call 911 (and hopefully you right after). If you find out your child has been injured before they’ve received medical attention, take them to a hospital or medical care provider. Toddlers and young children usually don’t have the ability to clearly state the condition of any injuries they’re experiencing. Only a licensed medical professional can determine the extent of injuries, which may not be immediately apparent. Retain all medical records. They’re going to be necessary if you decide to pursue legal action against the provider or another child’s family. Just like you’d gather witness statements at the scene of a car accident, it’s vital to document details about the state of the daycare center when the personal injury accident occurred. Were there hazards that posed a threat to the child? Did the worker have too many children to watch after, which prevented her or him from properly monitoring the environment and preventing accidents? Ask if the daycare facility has CCTV camera footage you can access. Take photos or videos if they would be helpful. At the very least, write down and date an immediate account of the accident, and ask for a report from the daycare center. Note anything that other children might say about the accident, too. When your child sustains serious personal injuries while in the care of someone else, you should contact a Phoenix personal injury attorney. An attorney can help you gather evidence and build a case against a daycare provider if they were the negligent party, or help you navigate how to deal with another family whose child caused serious personal injuries to yours. If your child has been seriously injured at daycare, contact the Millea Law Firm at (480) 462-5540 for a free consultation.